Portland, Maine – Low-Cost Carrier, Frontier Airlines announces new low fare, non-stop flights from Portland International Jetport. Beginning in July, the airline will introduce the only nonstop service to Denver and Raleigh/Durham; Beginning in August, Frontier will also add the only nonstop service to Orlando. The airline revealed the destinations today at an event with airport officials. 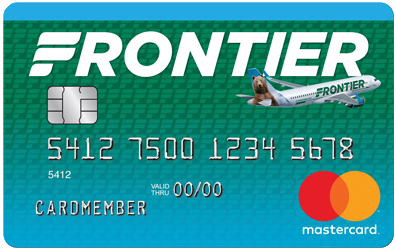 To celebrate the introduction of these flights Frontier is offering special intro one-way fares as low as $29. “We are excited to welcome Frontier Airlines to Portland” said Paul Bradbury, Airport Director. “The Jetport is focused on providing a better travel experience for the consumer. Connecting passengers to places they want to be is the best way to do that. Today we celebrate the announcement Frontier Airlines is adding three new destinations to our route network making it easier than ever for Mainers to get to Denver, Raleigh, and Orlando” he continued. F9 515 Depart PWM: 6:33 p.m. Arrive DEN: 9:15 p.m.
F9 514 Depart DEN: 6:04 a.m. Arrive PWM: 12:04 p.m.
F9 1429 Depart PWM: 2:50 p.m. Arrive MCO: 6:05 p.m.
F9 1428 Depart MCO: 11 a.m. Arrive PWM: 1:50 p.m.
F9 601 Depart PWM: 12:54 p.m. Arrive RDU: 2:59 p.m.
F9 602 Depart RDU: 3:49 p.m. Arrive PWM: 5:43 p.m.